Good service and lovely team. Thanks Simon and Nichole! You were all really helpful through the entire process which was very comforting to me as a solo home buyer. You were willing to answer any of my questions big or small. Oh, and Simon, thank you for coming over to help me turn the water off! I've recently bought a great block of land in Yungaburra through Nichole's agency and the purchase couldn't have been easier. Throughout the process from first contact to settlement, Nichole was knowledgeable, responsive and generous with her time. Thanks Nichole, I’m looking forward to when we finally meet in person. Nichole and her Team are the go to when looking to buy or sell in the Yungaburra - Tinaroo Area. They are the only agent based in Yungaburra and specialise more in this locality, this reflects in their local knowledge, best listings and ability to negotiate. We purchased a lot of land in the village and we are very happy with the outcome. 5 Star Rating! Thanks YTR for the welcome gift to celebrate the anniversary of owning our investment property I can’t express enough how easy the whole purchase and rental process was made by the team at YTR. Every dealing we’ve had with them since has been just as hassle free and professional. Your organisation operates like ‘a well-oiled machine’ and a credit to the management and staff! Nichole is a knowledgable agent who communicates in a professional manner. She was extremely helpful and went above and beyond to make our first home purchase and enjoyable process. I highly recommend her as an agent. Nichole is extremely professional and is great at following up. I would highly recommend her! Thanks Nichole and the team. You kept us informed throughout the process and persisted with marketing and selling our house. Finalising the sale was handled very well and you made this very easy for us. Highly recommended this very professional and productive team of real eatate professionals. Our experience with Nichole was nothing but professional , she is an outstanding agent with vast knowledge of the local area. Very helpful and went out of her way to assist with property we were after, Highly recommend. Very helpful and willing to look for answers to any questions I had. I rate Nichole 5 Stars on Market Knowledge, Communication Skills, Negotiation Skills and Credibility. My husband and I found Nichole to be very helpful and to the point. We found Nichole very easy to communicate with and very prompt in her business dealings with us and would have no hesitation in recommending Nichole to our friends and aquaintances. We received prompt and professional service, it made our purchase stress free. We are very pleased about the prompt responses to our emails and questions, even sometimes on a Saturday morning, contacting the landlords and coming back to us efficiently with various solutions. We also thank you for your understanding in delaying the inspection due to family matters on our side with Mark’s father in hospital in a critical condition. The inspection was then performed perfectly on time and with discretion. All the matters we have raised during these three months, were dealt with in a gentle and efficient manner. 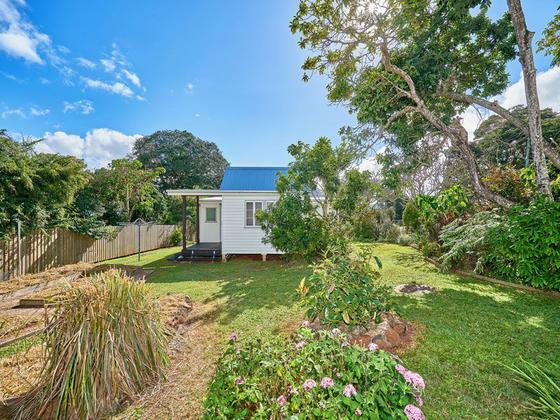 We are very pleased we chose Nichole Duane and her team at Yungaburra and Tinaroo Realty to assist us with the purchase of our delightful Yungaburra home. At all stages of the home buying process,we were always very impressed with the efficient,informative,accommodating,friendly service given by the team members. The icing on the cake was the wonderful, very generous basket of carefully thought-out,as well as comical,items, - better than any Santa would deliver,given to us by the YTR team as a congratulatory welcome to the Yungaburra community So,if you are considering buying real estate in the Yungaburra region,there is no better agency to choose than YTR - certainly second to none.You are assured of a most fulfilling experience. Thank you for smoothing the path to settlement of our property. Your ability to coordinate and liaise with the buyers, solicitors and ourselves was truly excellent and very much appreciated. Thank you! Nichole provided great advice, knew the market and provided a high level of integrity in our dealings with her. She worked hard to provide a sale for us in difficult personal circumstances. She provided detailed reports every time a client inspected the home and provided regular updates in between times without any prompting. Whenever we contacted Nichole we had an immediate response which was right on mark about the questions we asked. I have no hesitation in recommending her for purchase and sale of property. Thank you, the Team at Yungaburra - Tinaroo Realty. My house was on the market with another agent for over 6 months and YTR came in and had a contract of sale within 3 weeks. They did this with sheer determination and professionalism. The communication was very refreshing keeping me up to date regularly with progress in the sale of my property. I would recommend anyone selling a property in the Atherton Tablelands to give the team a call. Yungaburra - Tinaroo Realty made the buying experience a whole lot less painful. I am sure too the seller was equally as impressed. well done! Would highly recommend to anybody interested in purchasing on the tablelands - We Rate Nichole 5 Stars! Very good professional service! We rate 5 stars for Marketing Knowledge, Communication Skills, Credibility and Negotiation Skills. Great Agent! Reliable, a pleasure to deal with and quick to answer any questions. Would highly recommend all the staff at YTR. The most important thing for me was no pressure. Nichole made a difficult time in my life so much easier. She was so helpful and willing to accommodate my needs. Both my sale and purchase went through seemlessly. We have just purchased our block of land, with a view to building our dream home in this tranquil piece of paradise. Nichole and her team were very informative, quick to respond to enquiries and generally just great to deal with. Excellent Agent - We highly recommend Yungaburra - Tinaroo Realty as a friendly and professional agency. Communication was excellent and they always kept us up to date on buyer activity and feedback. Thanks for your honesty and hard work in achieving a great sale result. We are writing to express our complete satisfaction with Yungaburra-Tinaroo Realty. She was very professional, friendly and knowledgeable of all the properties we viewed. They were always available to answer phone calls or else responded back promptly. Nothing was too much trouble and we enjoyed the guiding hand immensely. We have complete confidence in recommending they agency when buying or selling property on the Tablelands. Leave it all in their capable hands! Fantastic from day 1 when enquiring about blocks of land for sale right thorough explanation of the contract. Very helpful and highly recommended. Great Agent! Although we were Buyers, Yungaburra - Tinaroo Realty took the time to always keep us informed about the property and the legal processes in place. She negotiated with the Sellers immediately, so we always knew exactly where we stood with price, chattels included etc. Very pleasant manner and entertained our grandchildren so we could have a decent look at the place without distraction. Top Agency!! Would recommend Yungaburra - Tinaroo Realty as an agency, was extremely happy with her work. Yungaburra - Tinaroo Realty gave us prompt and excellent service and advise, we had confidence in her selling ability and would recommend her to others wishing to sell or buy property. Yungaburra - Tinaroo Realty was a pleasure work with on the purchase of our house. She was professional, reliable, easy to contact and very fair in her dealings. She was never pushy and always remained very calm. Exceptional Service. The agency offered us nothing but the best service one could wish for, so much so we purchased other properties also.The after service follow up was great. Great Agency! Yungaburra - Tinaroo Realty communicated regularly with us and kept us informed throughout the process. Yungaburra - Tinaroo Realty seemed quite happy to take my call at 7am while out walking her dog, and then things were pretty plain sailing after that. Positive agent, positive experience. Yungaburra - Tinaroo Realty was enthusiastic, positive, open and honest right from the beginning. This type of attitude can only bring a positive outcome. Yungaburra - Tinaroo Realty was awesome to deal with. Her knowledge of the area and her understanding of our needs was impressive. She's always been willing to help every step of the way, nothing has ever been too much trouble. She's made our purchasing experience an absolute breeze. Yungaburra - Tinaroo Realty has really gone above and beyond for us and I can't thank her enough. A great agent! Delighted with my choice to give sole agency to Yungaburra - Tinaroo Realty to sell my property, I found her easy to communicate with, honest and straight to the point which I appreciated, and very professional in her business dealings, brilliant at writing an excellent review of my property for the advertising, excellent fast feedback after a viewing with a potential buyer, and my house was sold on the third viewing in two weeks and I am delighted. I would, and have, already recommended Brook to anyone I know looking to sell their place. I wish Yungaburra - Tinaroo Realty all the success for her career in real estate as I feel she will go a long way. Nicole Duane was very professional and helpful in the sale of my property, As I lived interstate it was difficult to organise maintenance on the property and that's were Nicole was happy to help.I highly recommend her for the sale of properties in the Yungaburra and surrounding areas. We have recently worked with Nichole to successfully sell our business as well as an investment property. Nichole has also leased and is managing another property we own. In every case we have found Nichole and her team extremely helpfully and very professional. Particularly impressed with her attention to detail. Have no hesitation in recommending Nichole to others. Nichole made the whole contract process easy. She assisted us promptly and she was very pleasant to deal with and very helpful. Nichole was a great help when I bought my property explaining all the little details and showing me around. I would recommend her to anyone wishing to buy a property. Great agent! Very easy to do business with either face to face by phone or email we found the experience very helpful to achieve our objective to follow our dreams of re settling on the Atherton Tablelands.Simon should be commended for the manner in which he conducted all dealings with Margaret and myself also our dog "HOLLY". Regards Ron Pollard. Nichole is always willing to help and offer suggestions to improve the chances of sale. Nichole's use of different marketing strategies and mediums is a great asset and enhances advertisement of the property. Communication within the YTR team is great and are a pleasure to deal with. Great Agent! We would totally recommend Brook as an agent. She was efficient, thorough, professional and very easy to work with. We couldn't have wished for a better result. Nichole gets results, has market share of listings and was able to secure a quick sale for us in a short period of time. Nichole's team worked with us to help us buy the property for our future dream home in a lovely part of Australia! Thank you! I was very happy with Nicole and her team throughout the period of listing my property until the settlement. Their professional expertise and their somewhat personal commitment to a successful outcome, combined to make them a business that I will definitely deal with in the future. I absolutely recommend them to anyone looking at buying or selling in the Tableland area. Very professional, hardworking and forward thinking We chose Nichole because, in the short time she has been operating in Yungaburra she has become the leading agent in the area. She knows the area probably better than other agents who have been there much longer. Her signage and presentation are very professional. Nichole has always provided prompt feedback on progress and has managed her staff and her office very efficiently. She sold our home in a depressed market, bringing close to the price we needed to enable us to move on. Great Agent Thank you for your help throughly out the last few weeks Nichole. Any questions I had were answered promptly and were always available to help. Professional Team We found Nichole and her team to be both efficient and professional. She is very knowledgeable and accommodating. Nichole was successful in selling our house and when the first sale fell through was able to find another buyer quickly so that all parties were very happy with the final result. I originally purchased a block of land with Nichole, on which I built a house. I sold an acreage property with her and then, most recently, sold the block with the house on it. I can highly recommend Nichole not only as a seller but also as a buyer. She is very professional and knows the housing market well. Thank you Nicole and you all at Tinaroo Realty. We can't thank you enough for the friendly manner, professional service and attention to detail you displayed for the duration of the sale of our property. You certainly made the experience seamless without any worry or stress for us. We thank you for keeping us well informed at all times during the process of the sale. I live interstate and also got very sick during the process of the sale. Nichole was very understanding and accommodating of my circumstances, especially as it ended up taking a lot longer than it normally would due to my unforseen illness. Overall Satisfaction 5 Stars! Could not have done it without her! Literally - we could not have done it without her as we are based in the UK! Brook arranged everything on our behalf, from marketing material to cleaners, gardeners, electricians and plumbers! Brook provided us with very good advice regarding the local market and how best to price the property and we had a sale within a week of it being placed on the market. We could not recommend Brook highly enough! She is a star! Unbelievable Agent! Yungaburra - Tinaroo Realty is an amazing agent. She never failed to give her full attention to the sale of ? ur property, she was always available to answer any and all questions that we had. Brook made the sale of our property easy and very comfortable. Yungaburra - Tinaroo Realty was professional while very realistic and approachable. She maintained regular communication prior to finding a property and during the negotiating and purchase of the property. Yungaburra Realty knew that our house was on the market with another agency for a number of years and approached us, stating that they would be able to find a buyer for our house. After listing the property they were in regular touch with us to provide feedback on buyer activity and interest in the house. At the same time she was working behind the scenes with potential buyers, "selling" the property. In the end, she matched us with a family who loved the house and environment. Full marks to Yungaburra Realty for doing an excellent job and we are grateful to them. Nichole provided exceptional service in communicating and organising a house inspection with little notice. Set-up a contract signing for both parties on the same day, offered further inspections anytime and backed-up with offers to provide more information if we required. Both agents helped advance the house sale quickly to help accommodate our personal situation. We would like to express our sincere thanks to Yungaburra - Tinaroo Realty for her professionalism and exceptional service in marketing and in the very speedy sale of our property. The guidance and advice in both pricing and advertising was spot on for a fast and seamless sale. I will definitely be recommending Yungaburra - Tinaroo Realty to friends. Professional Always. We very impressed with Brook's professional skills and ability to deal with problem issues while remaining professional and diplomatic throughout the process. Nichole was a pleasure to deal with. Very professional with great market knowledge. Kept us informed every step of the way and was on top of all steps in the selling process to ensure timely completion of the sale. Excellent Agent Follow up and attention to detail exceptional. Would certainly recommend. Has sold our business and rental property this month. Is also managing our other rental property. We previously purchased a block of land from Nichole and due to circumstances we then had to sell that same block of land. Nichole was very professional and we feel she found a middle ground to satisfy both ourselves and the vendors. We would have no hesitation in recommending Nichole to potential clients. Nichole and her team pulled out all the stops from start to finish. Absolutely a pleasure to have her sell us our dream home. Any issues she sorted them on the spot! I would highly recommend her and her team, they are professional, know the local area, and have a great personal and friendly touch. Thanks again team, we could'nt be happier! Communication was amazing, great service. Wish I engaged Yungaburra Tinaroo earlier. I'd just like to thank the Team at Yungaburra - Tinaroo Realty for helping us to sell our dads deceased estate in Yungaburra, They made the journey quick and painless and found a buyer that offered over the original asking price. Would highly Recommend Yungaburra -Tinaroo Realty for anyone looking to buy or sell property on the Atherton Tablelands. My experience dealing with YTR was extremely pleasant and rewarding. The Agent definitely has her eye on the ball, is well informed of the activity in her industry and there was always ample communication and feedback when necessary without the unnecessary jargon and bull that I experienced with other agents. Keep up the great work! YTR was very efficient in selling our property. We would highly recommended them to anyone wanting to sell their property. YTR has been assisting us in the sale of our home. We have found Nichole to be hard working and attentive to our needs, communicating well at every point. We were very satisfied with the communication, and help that we received from Yungaburra Realty. We were successful in selling our house in a short amount of time. Nichole and the agents were extremely helpful via constant contact before, during and after the sale of our house. Both my husband and I would highly recommend placing a property to sell, or if there is intent to buy to advertise through Yungaburra Realty. Yungaburra Realty were extremely responsive and helpful throughout the negotiation and contract phases for our purchase in Malanda. They were extremely supportive, understanding and forthcoming throughout the process and always made contact when promised. Our queries and concerns were not always simple and required research and negotiation on their part from day one. We were pleased to be dealing with the team and would definitely recommend them to peers. Nichole's local knowledge, experience and networking skills meant that the sale of our house was a quick and painless process. Nichole took care of everything for us. Selling our house through Yungaburra - Tinaroo Realty was a smooth and painless process. Nichole and her team took care of every aspect of the sale which meant we didn't need to worry about a thing. Complete Satisfaction! What a pleasure to deal with a real estate agent as competent as Nichole. From our experience we found her to be honest & respectful. We highly recommend Nichole & her staff to future property buyers. We found Nicole to be professional at all times. She is also friendly, welcoming and her attention to detail was second to none.We rate her 5 out of 5 for Market Knowledge, Communication Skills, Credibility & Negotiation Skills. We recently purchased a block of land from Yungaburra Tinaroo Reality. We can honestly say that if you wish to buy a property you can be assured of prompt, professional service from Nichole and her staff. It was a seamless transaction so we have no hesitation in recommending this agency. Very happy with the service Nichole and her team provided us. They know their 'stuff' and were extremely helpful. The staff and Nichole Duane were very helpful during the purchase process , I will recommend them to every one. We are very pleased with the service we received. I was impressed with how we were kept us informed. He was honest and open at all times which we appreciated, having had previous unsuccessful attempts to sell the property with other agents. He never shied away from the hard questions. We found the agent to be diligent, professional and very personable. I would have no hesitation in recommending the agency as a real estate agent specialising in rural and farming properties. "I recently purchased a house through Nichole at Yungaburra - Tinaroo Realty. I was delighted with the service provided by Nichole. I have purchased several houses and this was the most straightforward transaction of them all. Nichole was punctual, returned calls quickly and kept me informed about the negotiations with the seller. The contract documentation prepared by Nichole's agency was timely and accurate and my solicitor did not need to change a thing. I was very happy with Nichole's professionalism and highly recommend her agency for anyone looking to buy or sell in the Yungaburra or Tinaroo area." Dear Nichole Thank you for your congratulations. Im really glad that I wandered by your Real Estate office a month or so ago just looking. Settlement was today and now Im the proud owner of piece of paradise in Yungaburra. I dont plan to build for another three or four years, so have plenty of time to ponder over house plans/designs etc. I thank you both for initially presenting the block to me and for also liaising with the vendor on my behalf. Your assistance and professionalism with sorting through the documents and communicating with my solicitor is also appreciated. I plan on opening the bottle of champers tomorrow to celebrate. To whom it may concern The agents were warm and bubbly and a pleasure to interact with while helping me to buy my first home in Yungaburra. I was new to the process but her experience helped guide me through. I found the agents honesty refreshing and conveyed my directions very well during negotiations, and the entire process from initial inspection to settlement reassuring my faith in my purchase. I would have no hesitation recommending the Yungaburra - Tinaroo Realty to anyone whether they be buyers or sellers as she conducts herself professionally. The Yungaburra - Tinaroo Realty recently helped us buy a home in Yungaburra. Like everyone, we were quite anxious about the purchase but we found their honesty very reassuring. She was also only too happy to arrange several inspections for us, including with independent builders and valuers. They represented us very well during negotiations, and the entire process from initial inspection to settlement was faultless. We have no hesitation recommending the Yungaburra Tinaroo Realty to anyone whether they be buyers or sellers. From the moment we signed with Yungaburra-Tinaroo Realty for the sale of our Yungaburra property, we were more than happy with our decision to do so! The agents were professional, efficient and very enthusiastic throughout the process and our property was sold quickly. We were kept informed, and the whole process was made extremely easy, despite the fact that we were not living locally at the time. We highly recommend Yungaburra-Tinaroo Realty. 'We couldn't be happier with the service we received through Nichole on behalf of Yungaburra Realty. Having missed out on buying house that was listed with Nicole, we appreciated her assistance and progressional approach that we continued to liaise solely through her for viewings, even when properties were listed with other agents. "Nichole spent an amazing amount of time showing us through a number of properties, including those listed by other agents and was prompt and helpful at all stages of our purchase." We have had the pleasure to purchase our new home through Yungaburra - Tinaroo Realty. Our thanks and appreciation goes to Nichole and Ashley. They were very professional in every way. We wouldnt hesitate to recommend them to future purchasers. "Buying a home can be a stressful and expensive process. From the time we first inspected our dream home, to the moment we signed on the dotted line, we were never concerned things weren't going to happen. The team at Y/T were so very accommodating, ensuring a seamless transition throughout all phases of the purchase. We won't be buying another home any time soon as they found ours but we highly recommend Y/T Realty if you're after some good old-fashioned customer service and attention to detail. Thank you!" We have recently sold a property through Yungaburra Tinaroo Realty. We dealt with Nichole from start to finish and the whole experience was nothing but wonderful. Her professionalism was outstanding which made the deal easy to handle. She maintained contact with us all of the time including after every open home to let us know the flow of traffic through the inspection. When the contract was signed she continued to keep us up to date. I would highly recommend Nichole for any real estate venture. David and Michele Poppi Townsville.